We've provided a fun and creative list of our top Summer party themes for 2019 to get the party started. Make your 2019 Christmas party one to remember with these fun, show stopping themes. A selection of our top themes guaranteed to impress at any event. 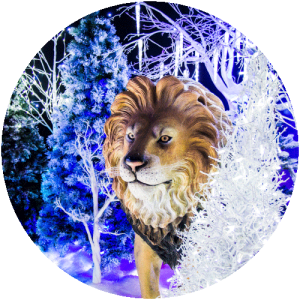 Add some magic and sparkle to your events this year with a selection of our top Christmas themes. Our immersive showroom provides a taste of our favourite themes demonstrating the quality of stock and variety of services that we provide. A guided walk through our themed zones always inspires – our showroom is packed with stunning ideas and displays and fresh themes for 2018. 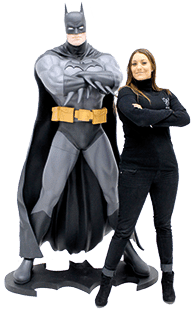 Discuss face to face with our brilliant and experienced team how to bring your event to life with clever theming ideas and event solutions to delight your guests. The reason we’re trusted by many is not just the professional service but also the quality of our props – created and designed by our talented in-house team. Our showroom will definitely fuel your imagination when it comes to how to dress your event space. We can help you with clever lighting, stunning accessories and the finer detail to take your event to the next level and create something really special. 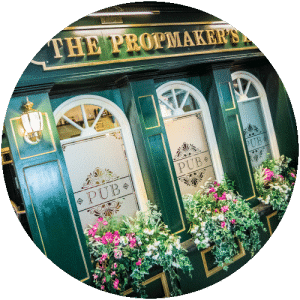 Why not finish your visit with a drink in the Propmakers Arms for a taste of what we can do for you and your event! New products fresh from the workshop and available to rent for your event. Add a little sunshine to your event with this Medium Florida Palm Tree. Perfect for any Tropical Beach themed events. 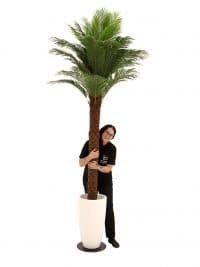 Our range of Florida Palm Trees include; Medium, Large and both heights in a White Container. 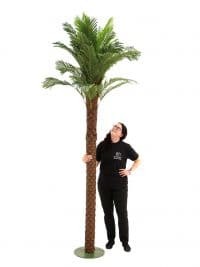 Whether you are creating a Caribbean Beach scene or trying to bring the outdoors in this Medium Florida Palm will stand out at your event. Try pairing with our Caribbean Welcome Sign and Surfboard so your guests feel like they have just stepped into absolute Tropical paradise. Add a little sunshine to your event with this Medium Florida Palm Tree in White Container. Perfect for any Tropical Beach themed events. Our range of Florida Palm Trees include; Medium, Large and both heights in a White Container. 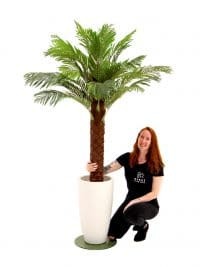 Whether you are creating a Caribbean Beach scene or trying to bring the outdoors in this Medium Florida Palm in White Container will stand out at your event. Try pairing with our Caribbean Welcome Sign and Surfboard so your guests feel like they have just stepped into absolute Tropical paradise. Add a little sunshine to your event with this Large Florida Palm Tree in White Container. Perfect for any Tropical Beach themed events. Our range of Florida Palm Trees include; Medium, Large and both heights in a White Container. 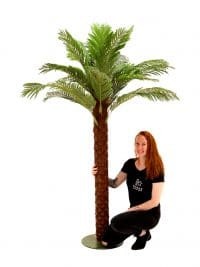 Whether you are creating a Caribbean Beach scene or trying to bring the outdoors in this Large Florida Palm in White Container will stand out at your event. Try pairing with our Caribbean Welcome Sign and Surfboard so your guests feel like they have just stepped into absolute Tropical paradise. Looking to cordon off a space? Use our Chunky Log Section – Tall (2m) to partition an area. It is also creates a perfect walkway for an Enchanted Forest themed event. Pair with our Dark Green Ivy and our Birch Trees to achieve this Forest look. These beautifully sculpted Chunky Log Sections are freestanding and also come in Small (1.2m – as pictured). A great addition to any Woodland themed event. 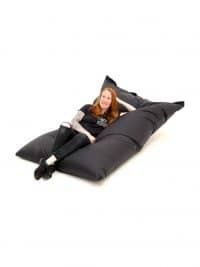 Giant Black Beanbag to hire. These bean bags are HUGE! They can be used in a number of different ways! These beanbags are made from a durable water repellent fabric. Perfect for any number of themed events where mass furniture hire seating solutions are required or comfortable chill out zone is needed. 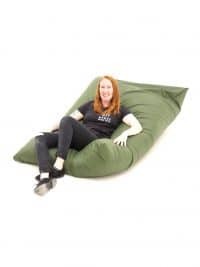 Giant Olive Green Beanbag to hire. 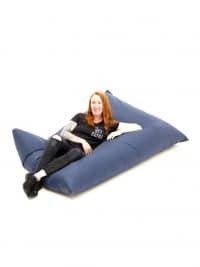 Giant Navy Beanbag to hire. 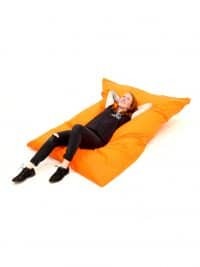 Giant Orange Beanbag to hire. 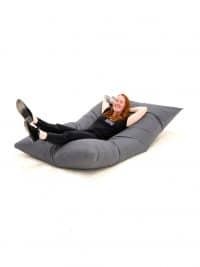 Giant Grey Beanbag to hire. Take your guests on a journey to the best Après Ski party around. 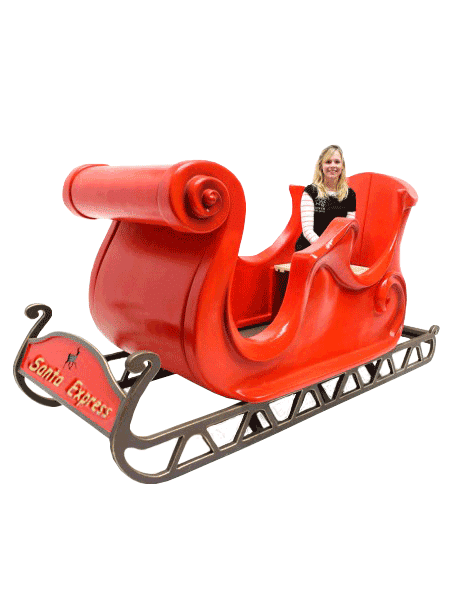 Our Cable Car prop can be used as additional seating area or as a fun photo opportunity for guests arriving at your Après Ski themed event. Check the Piste Map and then step into our realistic Cable Car prop and enjoy the Winter Wonderland setting. 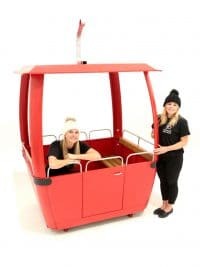 The Cable Car that we stock in both Red and Green, seats four people and with additional dressing such as our Reindeer Hide throws, Vintage Skis and Snow Covered Flocked Trees your guests will feel they have arrived at the most beautiful Alpine themed party. Perfect addition to any Winter themed event. 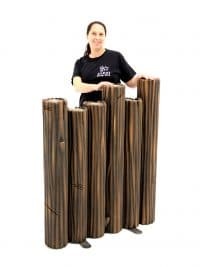 These beautifully sculpted columns work well in a cluster of different sizes. We stock these Broken Columns in 2ft, 4ft and 6ft. These Broken Columns are so versatile. 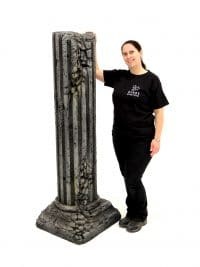 Steer away from the spooky, eery…Apocalypse and make these columns a beautiful addition to an Enchanted Forest, English Country Garden or Classical theme. Pair with our Dark Green Ivy and Wireless Uplighters to create a an overgrown Secret Garden look. This is a fabulous Black Stall; perfect for more or less any themed event. We think the striking Black would look great at 1920’s, Halloween or Hollywood themed event. You can even choose whether you want the uprights and top sign positioned at the front or rear of the stall; simply set it up on site as you wish! 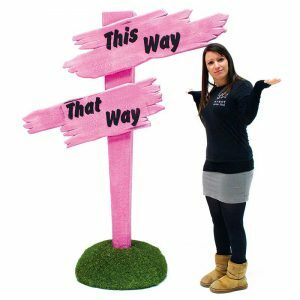 Speak to us if you would like to customise this prop – the top sign, front and side panels can all receive inserts to create bespoke theming for your event; simply give us a call for details. 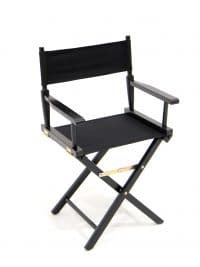 Calling all movie directors it is time to grab your Clapperboard and take a seat in our Black Directors Chair. 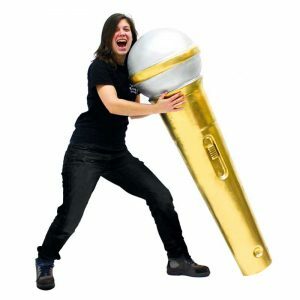 Perfect addition to your Hollywood themed event. Guests can take it in turns to have photos in this fun, Black Directors Chair available in both Black and Red. 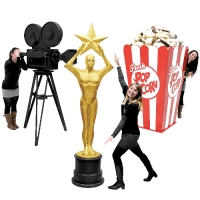 Try pairing it with our Giant Megaphone Prop and Giant Film Reel for an Award winning Cinema montage that will have your guests feeling like they have just stepped onto a Hollywood film set. 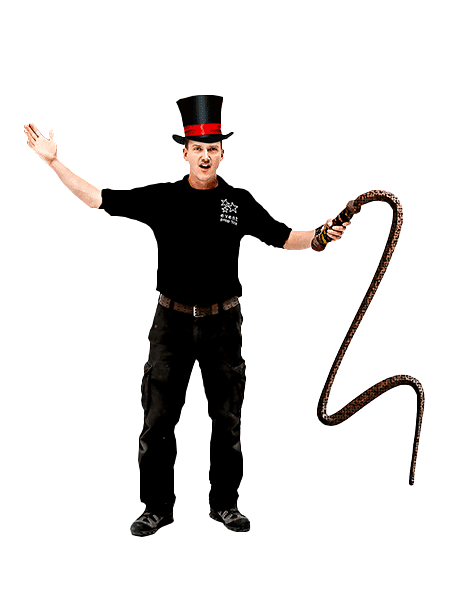 Looking to cordon off a space? Use our Chunky Log Fence Section – Small (1.2m) to partition an area. It is also creates a perfect walkway for an Enchanted Forest themed event. Pair with our Dark Green Ivy and our Birch Trees to achieve this Forest look. These beautifully sculpted Chunky Log Fence Sections are freestanding and also come in tall (2m – pictured below). Please note that the price quoted is for one section only and that the tall sections are available to hire separately. Essential for any Hollywood Dressing Room is our Dressing Room Bulb Mirror. It comes with 12 bulb lights that can be controlled from the side of the mirror with an adjustable dimmer. 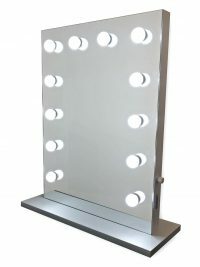 The Dressing Room Bulb Mirror is mains powered and is packaged in a large flight case to protect this beautiful Mirror. 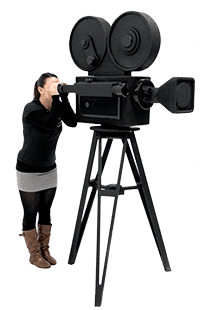 It works perfect alongside our Dressing Room Furniture and would be great for make up stations, hair demos, brand launches or for the powder room at your Hollywood themed event. 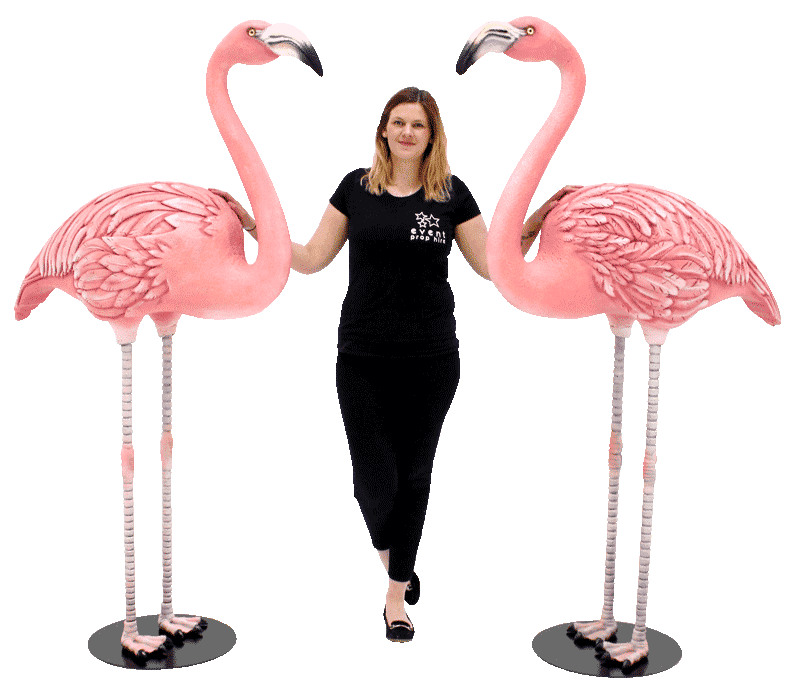 It is also a great addition to Festival Dressing Rooms and Festival inspired events, to give a touch a glamour to your backstage VIP’s. Bring Hollywood glamour to any event with these Dressing Room Bulb Mirrors. 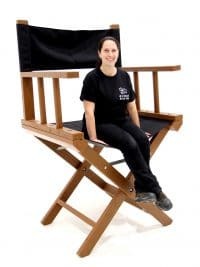 Calling all movie directors it is time to grab your Clapperboard and take a seat in our Giant Directors Chair. 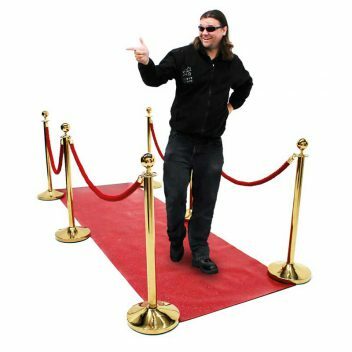 Perfect addition to your Hollywood themed event. 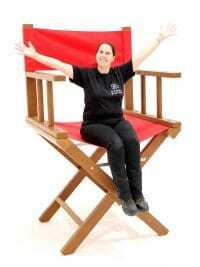 Guests can take it in turns to have photos in this fun, Giant Directors Chair available in both Black and Red. Try pairing it with our Giant Megaphone Prop and Giant Film Reel for an Award winning Cinema montage that will have your guests feeling like they have just stepped onto a Hollywood film set. Now…That’s a wrap! Please note our Giant Directors Chair is only suitable for one person to sit on at a time. 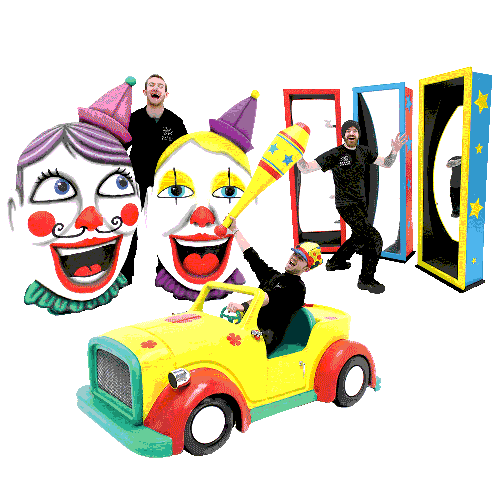 Our Circus Counter would provide an eye-catching addition to any themed event or party. It could be used traditionally as a bar, as a registration station or maybe a ticket office; the options are endless! 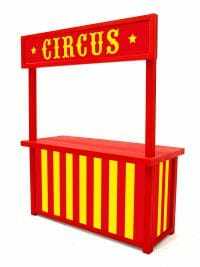 Our Circus Counter is a must have for any circus or fairground themed event. Fish and Chips Food Stall to hire. 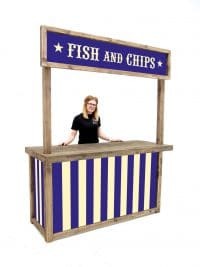 This is a fabulous rustic looking food stall, complete with traditional fairground stripes; perfect for any fairground or seaside themed event. 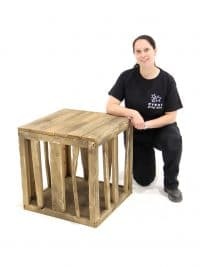 Make sure you keep your hens safe from Mr fox at your event with this Rustic Open Create. The Rustic Open Create is perfectly in keeping with a wide range of themes, from farm to industrial this can be a great finishing touch. Whether you need to keep hens and rabbits safe from the nightlife or as decorative pieces with lights and ivy – these are simple yet effective. Purple Candelabra with Coloured Candles for hire. 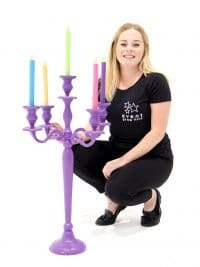 These colourful 5-arm candelabras come complete with a contrasting mix of equally colourful battery operated candles. 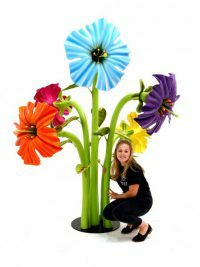 This is a really fun item for your event table centres! We can also offer the candelabra in blue and green versions. Please note that the candle colours you will receive cannot be specified and may vary. 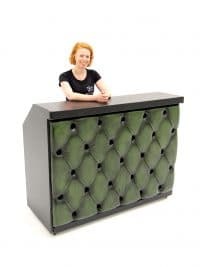 This Antique Green Chesterfield Bar is upholstered with a green leather effect vinyl and is a great item for all manner of themed events and parties. The Antique Green Chesterfield Bar fits perfectly with any Gentlemen Club or Pub themed event and would be fantastic alongside our Antique Green Chesterfield furniture range – sofas, armchairs and wingbacks along with perhaps one of our open place fires to create a relaxing yet sophisticated area for your guests. 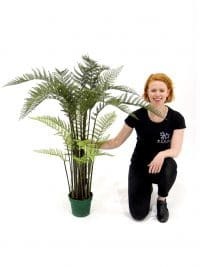 Our Fern Plant is a great way to add a touch more greenery and nature to any event which calls to have a little of the outdoors, indoors! Botanical is a great look at the moment and calls on all things tropical. Pair with our Kenya Palm trees and our Bamboo Water Feature to create a great chill out, zen garden feel. Our Box Hedge Topiary Seating is a both practical and eye catching for your event! This seating works perfectly for any Alice in Wonderland, Midsummer Nights Dream and Enchanted Forest themed event and more. 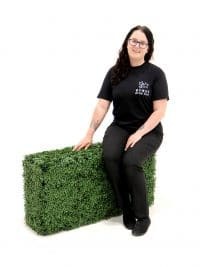 They can be arranged individually, in continuous lines, in a formal pattern or why not use our Box Hedge Topiary seating to create a maze and keep your guest entertained? 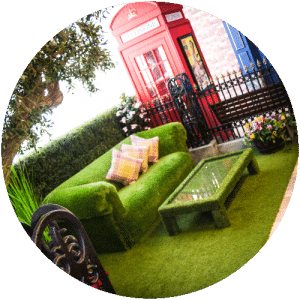 We also have our Topiary Box Hedge Entranceway, Box Hedge Cube Single Seater and Giant Flowers which work fantastically alongside our Box Hedge Topiary Seating. The Box Hedge is packaged in a bag that is attached and stored under the hedging. Simply pull this out and over the hedging to protect it during transit. Add a little sunshine to your event with this Large Florida Palm Tree. Perfect for any Tropical Beach themed events. Our range of Florida Palm Trees include; Medium, Large and both heights in a White Container. Whether you are creating a Caribbean Beach scene or trying to bring the outdoors in this Large Florida Palm will stand out at your event. Try pairing with our Caribbean Welcome Sign and Surfboard so your guests feel like they have just stepped into absolute Tropical paradise. Our Large Plush Owl is an essential prop for all the Witches and Wizards out there. Pair the owl with our Ornate Cage and Vintage Travel Luggage and you are ready for Wizard School. 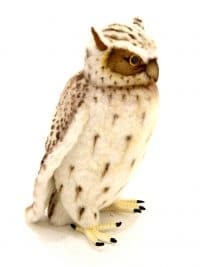 Set the scene for a Harry Potter or Enchanted Forest themed event with this beautiful Large Plush Owl. 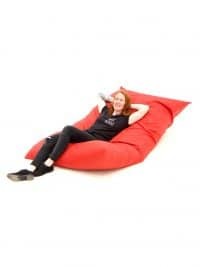 Giant Red Beanbag to hire. These bean bags are HUGE! So much so they can be used in a number of different ways! 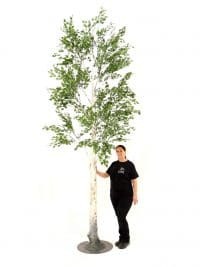 This large artificial Birch Tree is the perfect prop to hire for a huge variety of themed events or parties, from Park to English Country Garden, and can be used in many different ways; maybe either side of a door way to create an entranceway, a large statement piece or to simply bring the outdoors indoors. We do a large range of Birch Trees in all different sizes. A selection of our favourite original ideas and imaginative products. Designed and made by our in house creative and production teams. 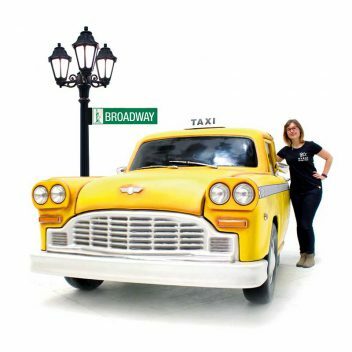 Amazingly realistic hand-crafted Vintage Car prop to hire. 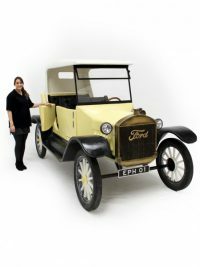 Lovingly created in-house, our brand new Vintage Car prop is fully 3D and highly detailed and is the perfect prop to hire for any 1920’s, Great Gatsby, 30’s, 40’s or Gangster themed event or party. As you can see from the pictures the Vintage Car prop will not only look fabulous but will also provide a fun photo opportunity for your guests attending your event. The car is flat pack assembly for easy transportation and installation. 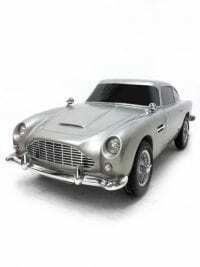 Event Prop Hire are pleased to offer for rental one of the best props that we have ever made….a stunning replica Aston Martin DB5 car! This iconic vintage car, made famous through its links with the James Bond 007 films, can now be a MAJOR feature at your themed event….regardless of where your event is! 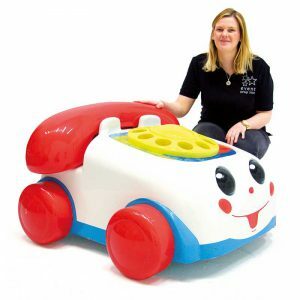 Unbelievably this prop car is delivered virtually flat packed, so we can get it into nearly any venue. So even if your event is at the top of the Gerkin…we can get it there! The car even has working headlights and brake lights. And for a small additional charge we can provide neon effect down-lighters for beneath the car, or how about a black plinth to display it on (BND79)? This Aston Martin DB5 is a MUST HAVE for any Secret Agent themed party and will provide an amazing photo opportunity for your guests. Without doubt this DB5 car prop will be the talk of your event! Please note that the car will be delivered in flight cases so storage may be required for the packaging. Given how special this car is, we recommend that you let us install it for you. If you would like to discuss this option please speak to a member of our sales team. Giant Hook a Duck Stall for hire. Roll up roll up! 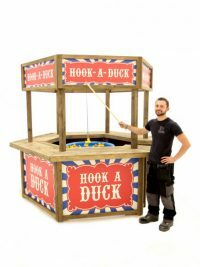 Test your ‘fishing’ skills with our traditional Hook a Duck Fairground Game. Try to hook as many ducks as you can with the supplied ‘fishing’ poles. Take a look at our full range of traditional Games here including a smaller version of this game. We also offer a wide range of customisation options for this product, allowing you to completely change the look. 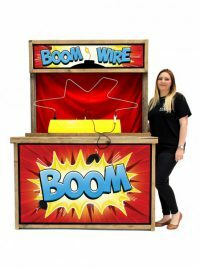 Boom Wire Superhero Buzz Wire Game for hire. Roll up roll up! 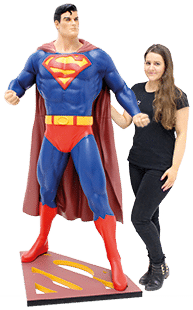 Test your skill with our Superhero themed Beat the Buzzer Fairground Game by trying to move the supplied wand to navigate the wire circuit without touching the wire and creating a buzz! Take a look at our full range of traditional Fairground Games here. 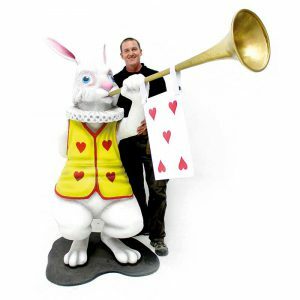 Stand to attention….we present to you our giant Nutcracker Soldier Prop to hire! 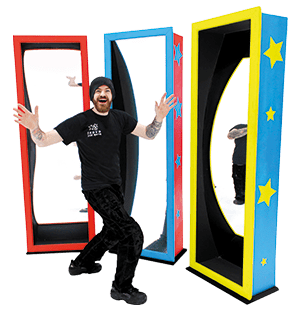 This freestanding prop has been lovingly hand crafted and is the perfect prop to hire for any Christmas, Winter Wonderland or Victorian Christmas themed party! Why not use two to form a fantastic entranceway; or more to create a Guard of Honour! 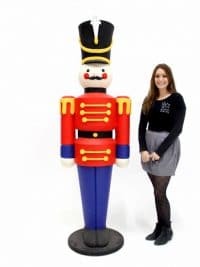 And if you really want to make sure your Nutcracker Soldier stands out at your event you can hire the matching plinth (pictured right). This will raise the Nutcracker up to a total height of 2500mm. Please note that the price quoted is for the Nutcracker only. The plinth is available to hire separately; simply ask your sales rep for details. 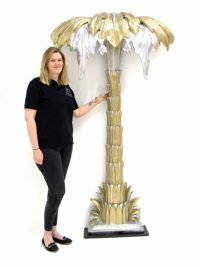 Gold Art Deco Palm Tree to hire. A visually stunning Art Deco palm tree that would bring a touch of elegance and style to any event! Finished in gold and silver, these palm trees really capture the decadence of the period and would be suitable for any 1920's, Gangster or even Titanic themed event! Traditional Carousel Horse to Hire. 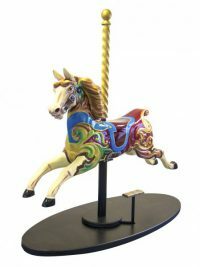 Freestanding and fully 3D, our beautiful, hand-painted, traditional Carousel Horses are fantastic props to hire for any Circus or Fairground themed event. You can even sit on them; perfect for a fun photo opportunity. Ice Cream Food Stall to hire. 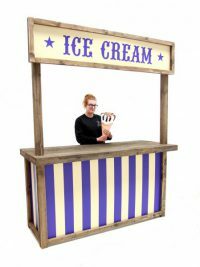 This is a fabulous rustic looking food stall, complete with traditional fairground stripes; perfect for any fairground or circus themed event. Take a look at some of our other food stalls below, we've lots of options for your event. 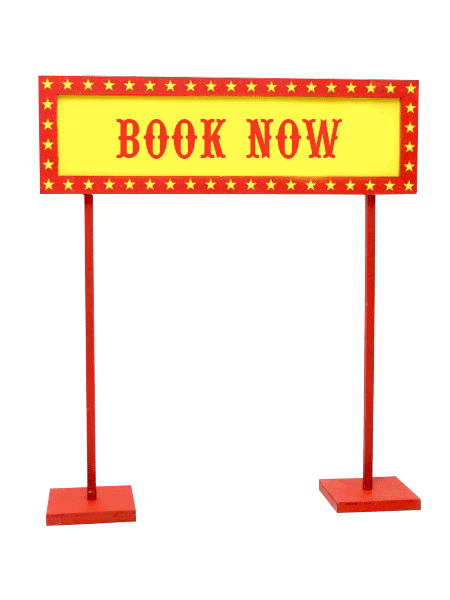 The sign, front and side panels can all be customised for your event; simply give us a call for details. Enchanted Petunia Flower Cluster for hire. Check out this stunning cluster of giant Enchanted Petunia Flowers that is now available to hire. 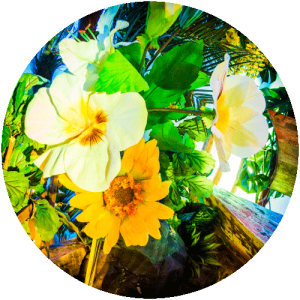 This flower prop is ideal to hire for any Alice in Wonderland, Fairytale or Enchanted Forest themed event. We also have a selection of individial Petunia Flowers in a variety of colour options – check them out here (and pictured opposite) or all of our giant flower options here. 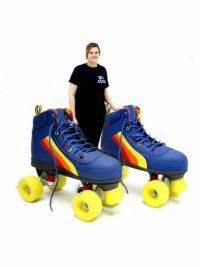 Giant Roller Boots (Pair) to hire. Iconic items from the disco era; this prop is perfect for any 70’s or 80’s themed event or party. How about positioning them either side of an entrance or a bar? The price quoted is for the rental of a pair of boots but you can just hire either the left or right roller boot if that fits your space instead. Giant Cowboy Boots for hire. 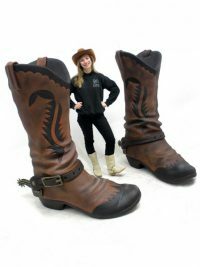 These boots will create a stunning feature at any Wild West themed event or party. Handcrafted by our talented in-house production team, they really do look like the real deal; they even come complete with spurs! Take a look at the inspiration pictures opposite too to see how you could position them within a small scene to make a big impact! Please note that the price quoted is for the pair of cowboy boots only; all other items are available to hire separately. 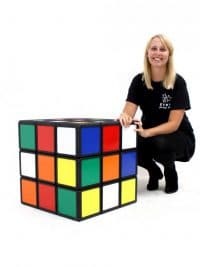 Giant Rubik's Cube Prop to hire. Perfect for any Back To School themed party night. 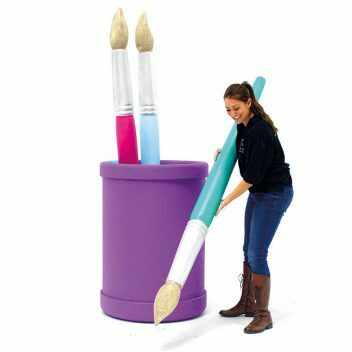 Why not evoke memories and feelings of nostalgia with this and our other Back To School or 80's Props?! 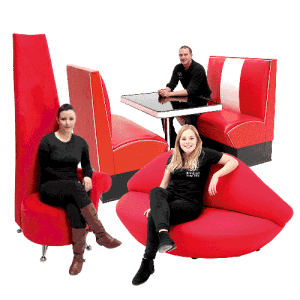 You can use this prop as a table too; take a look at the images opposite where we've positioned some of our cube single seater's with the Rubik's cube to create a fab seating area. Please note this is just a prop, it does not actually work and that the event images below may show a previous version of this prop. Fairytale Book Entranceway to hire! 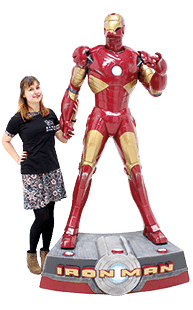 This is a stunning fully 3D freestanding prop that has been designed and handcrafted by our talented team. 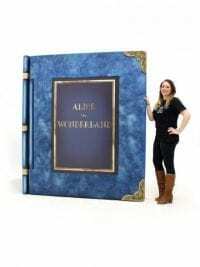 It would be perfect for any Fairytale, Alice in Wonderland or World Book Day themed event or party! 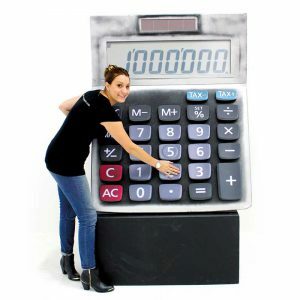 This is the perfect prop to welcome guests to your event! 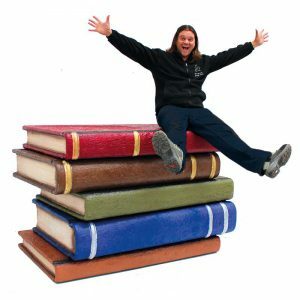 Take a look at some of our other book and fairytale props below. Both the front cover and the inside cover are fully customisable; simply speak to a member of the sales team for details. 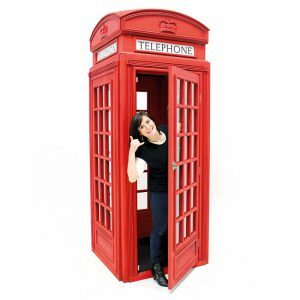 British Red Telephone Box prop to hire. 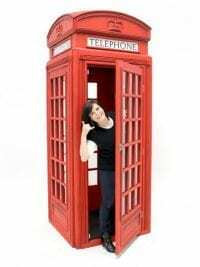 This replica telephone box prop is freestanding and has a door that opens fully and a real telephone inside (none functioning). 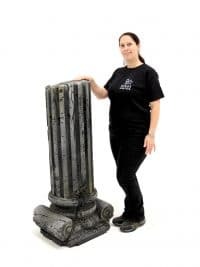 The prop will arrive flat packed and will require assembly at your venue. 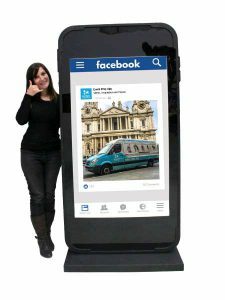 We also offer this product with a set of customised inserts for the top section of the telephone box. 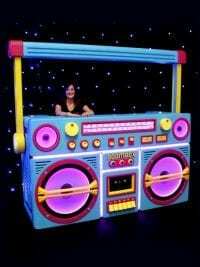 Giant Neon Blue Ghetto Blaster Prop to hire. 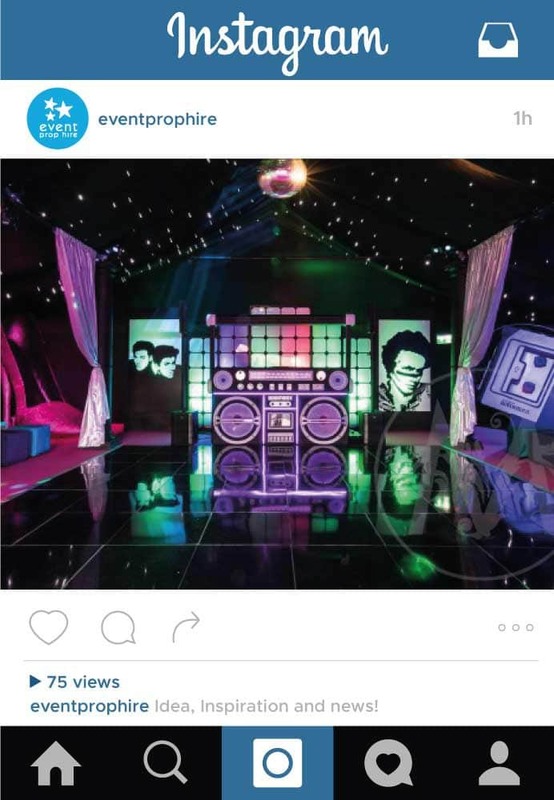 This prop is perfect for any retro 80's or 90's themed party and is extremely versatile as it can be used as a DJ stand or drinks bar. And for that extra impact at your event this ghetto blaster has lights too! You can set them to either strobe, colour change or remain static AND they even move in time to the bass!!! We also have a black ghetto blaster, both with and without lights. Check out all of our ghetto blaster options here. Please note that the ghetto blaster prop is designed to be used as a bar, DJ booth or one -sided prop and isn't finished as a ghetto blaster on the reverse side. 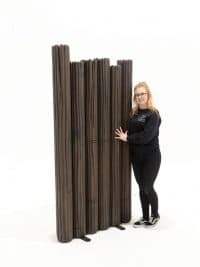 This prop is delivered in a large wooden storage box which it is the responsibility of the client to store for the duration of the rental period. Giant 3D Stiletto Shoe for hire. 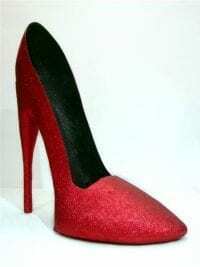 This is a fully sculpted three dimensional giant stiletto shoe which will serve as a great showpiece prop for your themed event. This shoe is a two piece construction giving great authenticity on a giant scale whilst ensuring easy installation! It is a freestanding, stable prop. 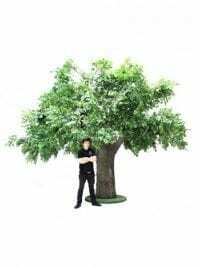 Replica Oak Tree to hire. This NEW super realistic life like tree is covered in a moulded bark that looks as real as the real thing! 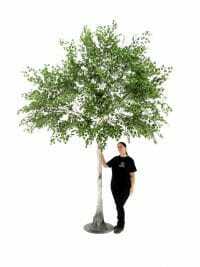 This realistic replica tree is completed with artificial leaves and would be a perfect prop for any number of themed events. 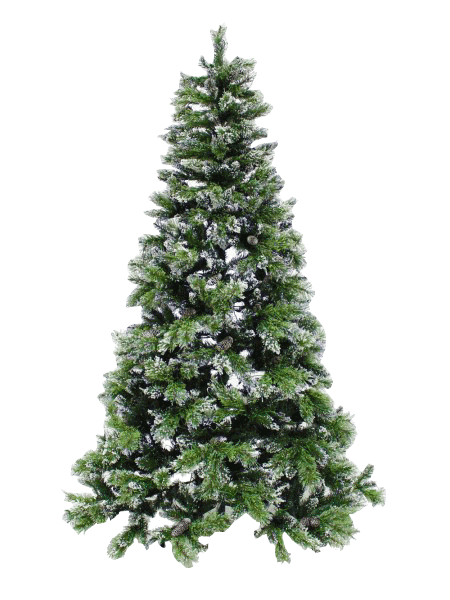 The tree is supplied with a secure base to ensure safety and stability. Please note that if you DRY HIRE this tree, you will need two people and some secure step ladders in order to put it together. 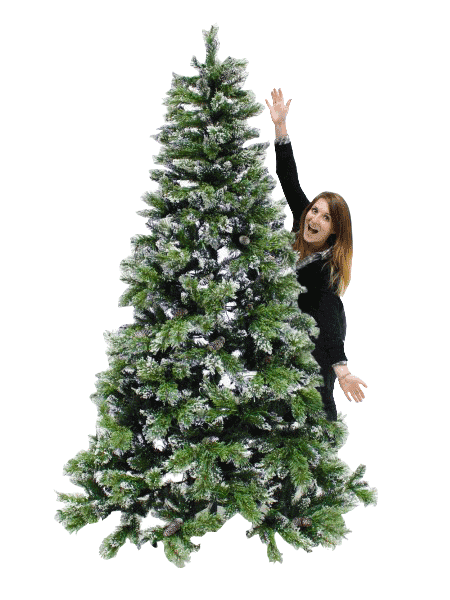 If you would like to discuss Event Prop Hire installing the tree for you then please speak to a member of the sales team. 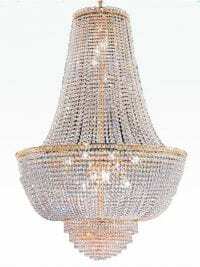 Crystal Chandelier available to hire! This large Crystal Chandelier would add more than a touch of class to any wedding, bling or glamorous themed event, adding light, sparkle and a sense of grandeur to any event! Take a look at some more of our glamour themed props! Please note that this prop is supplied ready to hang but will require installation by a specialist rigging company. The rigging needs to be capable of holding the weight of these chandeliers at 45kg each. They come supplied with a 16amp male electrical connector / plug. 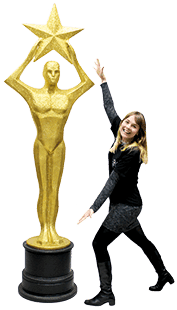 Giant Gold Star Award Statue Prop to hire. 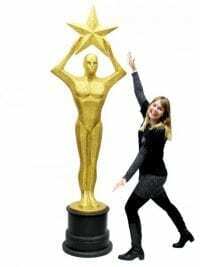 This giant gold award statue prop is perfect prop to hire for any Award party or themed event! Giant Pink Dining Chair for hire. 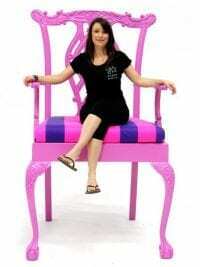 This is a stunning giant chair that would look great at your next themed event. It’s a high quality piece of furniture….only MASSIVE! And yes, you can sit on it….as long as you provide the ladders or step! Why not hire the giant dining table also or our traditional dining chair (all below)?! Please note that these chairs must only be used by one person at a time to a maximum weight of 15 stone and must only be sat upon under strict supervision. 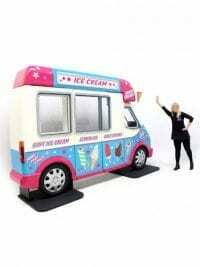 Ice Cream Van Entranceway to hire. 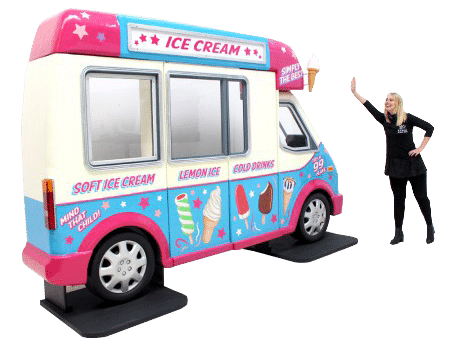 Have you ever needed an ice cream van INSIDE your party venue? 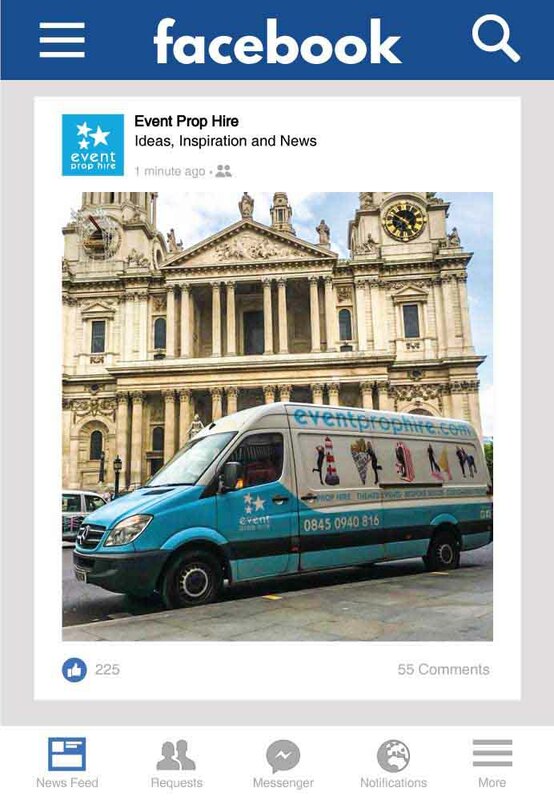 Well just in case you have and couldn't find one then Event Prop Hire have produced this great van entranceway for you to hire! What's more, by simply removing the central window you can create a serving hatch through which you can serve delicious treats! 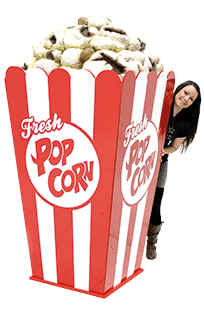 This is a great prop for any food themed event! It breaks down really easily and it can be built up inside the majority of venues. And even better…..we can personalise the van for you with bespoke graphics above the doors should you wish. Just give us a call to discuss. 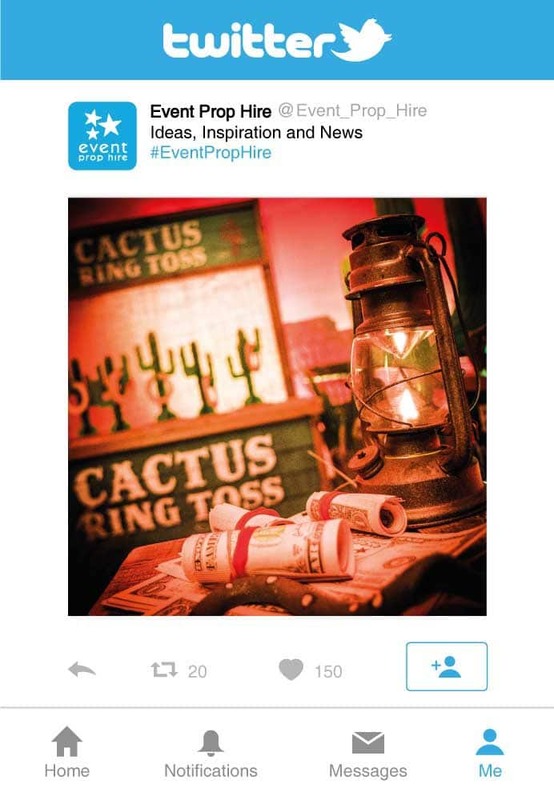 This is a quirky addition to your themed event and we're sure you'll love it! Big Top Entranceway to hire. Roll up, roll up! 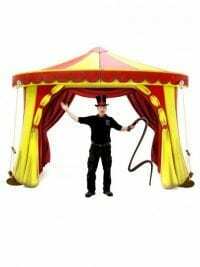 This stunning Big Top Entranceway will definitely add the wow factor to your Circus themed event or party. 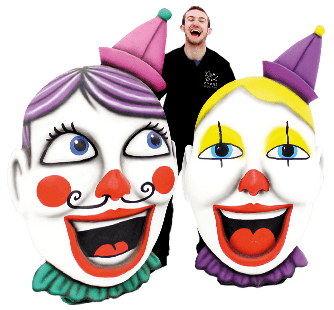 It’s a really big statement prop and will welcome your guests to your event with a great deal of circus-related style! The circus entranceway is a traditional red and yellow and comes complete with faux giant tent pegs and a dark red drape that simply attaches to the back of the prop allowing guests to pass through into your event. Clock Tower Backdrop for hire. 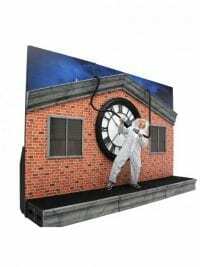 Head Back to the Future and to the fictional Californian town of this iconic film, Hill Valley by hiring this clock tower backdrop. 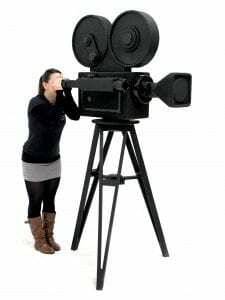 It will add that touch of authenticity to your 50's, 80's or movie themed event or party. 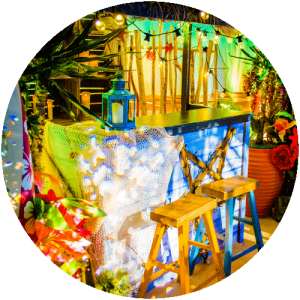 Our fantastic hand crafted log fronted bar is suitable for so many themes, from Apres Ski or Christmas Winter Wonderland through to Fairytale events! 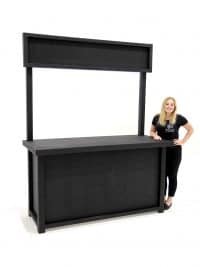 Use it as a traditional bar or a registration desk, it’s up to you! The bar has a lovely sculpted snow roof to add that winter feel to your event. 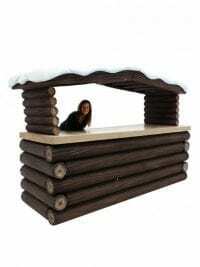 You also have the option to book out the Log Fronted Bar without a snowy roof (pictured) under code BAR73. 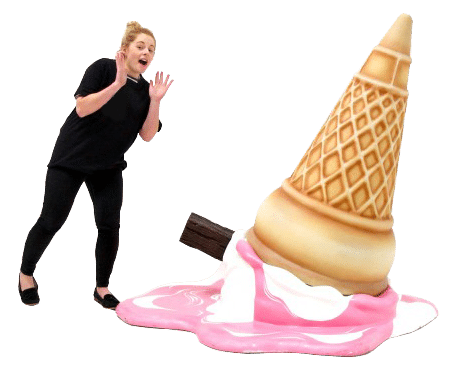 Giant Dropped Ice Cream for hire. KA-SPLAT………. 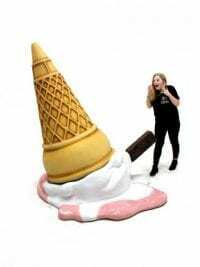 right onto our warehouse shelving and ready for delivery to your themed event is this amazing fully 3D dropped ice-cream. 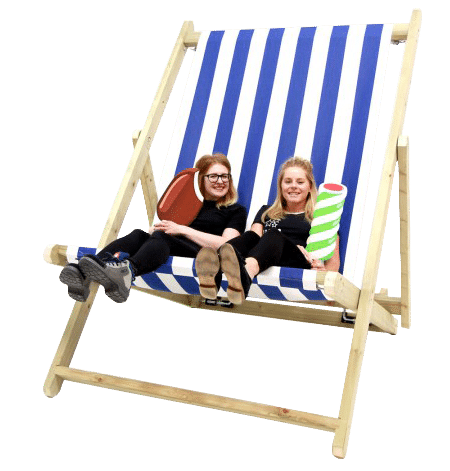 Bring the feel of summer to your seaside themed event or party with this high quality item. Just think of the comedy photo opportunities for your guests as they revel alongside this typical summer tragedy. This prop arrives in two parts that can be set up with no fixings in less then 5 minutes by two people. 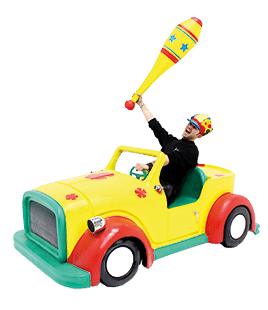 Giant bucket & spade prop to hire. 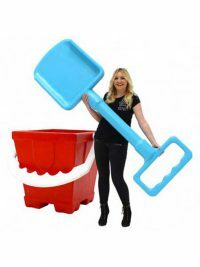 Fully 3D giant bucket & separate giant spade suitable for any seaside beach themed party event. 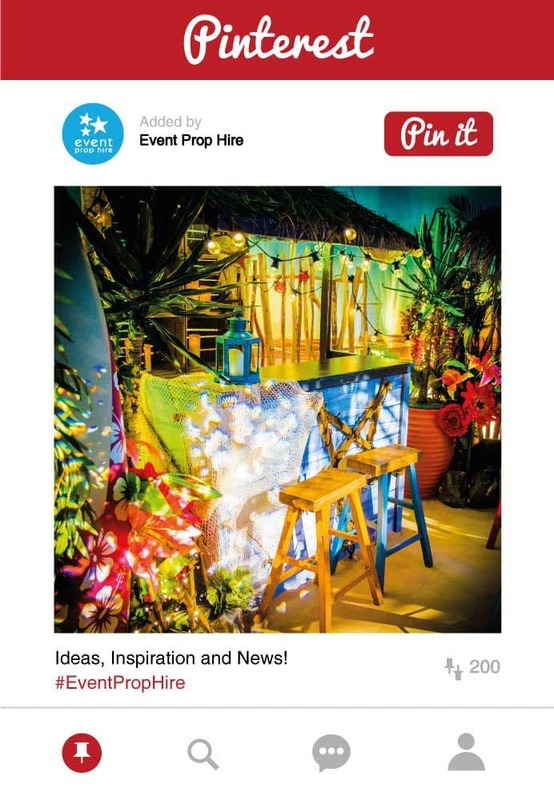 Take a look at the montage of seaside props opposite; a lovely summer inspired scene you could create at your next seaside event. Like, follow and subscribe to always get the latest.